This easy recipe for traditional Dutch speculaas cookies will fill your home with the most beautiful baking smells and your cookie jar with the best-tasting spice cookies. 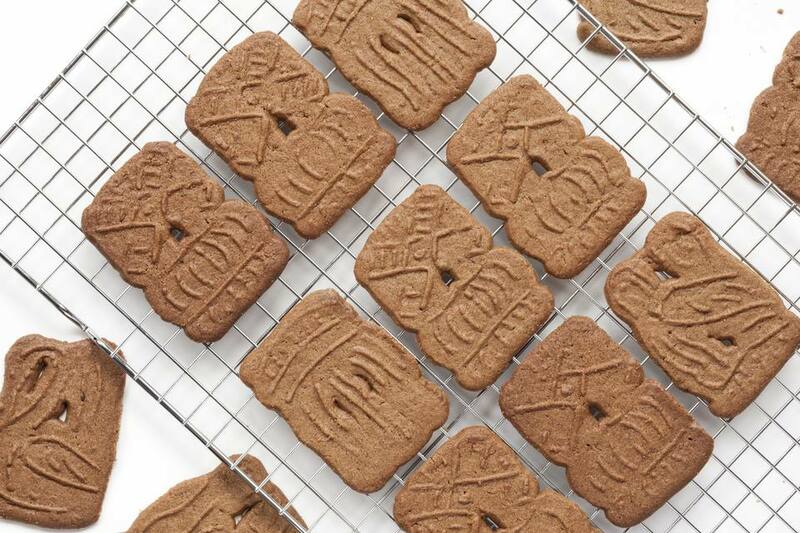 You might know these traditional Dutch Sinterklaas treats as windmill cookies, Biscoff cookies, or speculoos (their Flemish name), but we assure you that this is the only speculaas recipe you will ever need. You will be rewarded with a heady spice-market aroma as these cookies bake. Serve them with coffee, tea or a good glass of brandy for a special treat on a cold winter's day. In a large bowl, mix together the flour, raw cane sugar, butter, milk, spice, baking soda, and zest with your hands or a stand mixer fitted with the paddle attachment. The dough is ready when you can shape it into a ball without it sticking to your hands. Cover the dough ball with plastic wrap and set aside at room temperature for an hour so the spices can work their magic. Meanwhile, heat the oven to 347 F / 175 C. Grease one or more cookie sheet pans or line them with parchment paper. Lightly flour your work surface and roll 1/4-inch thick. Using a cookie cutter or speculaasplank, cut the dough and place the shapes on the prepared sheet pan(s). Brush the cookies with egg white and sprinkle brown sugar and flaked almonds on top. Bake 10 to 25 minutes, depending on the size and thickness of the cookies, or until the almonds are caramelizing and the cookies are turning a slightly darker shade of brown. Remove from the oven and allow to cool a few minutes on the pan(s) and then transfer to a rack to cool completely. Basterdsuiker is a typical Dutch product. It is manufactured by adding invert sugar and other ingredients to fine white refined sugar. This mixture helps to achieve certain textural structures and keeps baked goods moist. There are three varieties -- white, brown, and dark brown -- called witte basterdsuiker, (licht) bruine basterdsuiker or gele basterdsuiker, and donkerbruine basterdsuiker. It is widely available from Dutch supermarkets and some Dutch groceries on the Internet. You can substitute the donkerbruine basterdsuiker in this recipe with pure cane sugar (demerara). While little sachets of speculaas spices (known as speculaaskruiden) are available online, you can easily make your own speculaaskruiden or substitute pumpkin pie spices. The traditional method calls for using a speculaasplank, a carved wooden board. There is no need to go on a special shopping expedition, although you can find these online. A regular cookie cutter will do just fine.